ባንዳዋ ቡድን መገንጠልን እንደ አይጥ መሞከሪያ ያደረገችው አብዲ ኤሊ በልኳ የተሰራ ከመሆኑ ጋር መጪውን እንዳያስብ ስብ የዘጋው ጠባብ አእምሮው ማስተዋልን ተነስቷል ፤ ዳሩ ከህወሃት ውሎ ጤነኛ ቢሆን እና የነገን ቢያስብ ነበር እጃችንን በበአፋችንአስጭኖ የሚያስገርመን!! 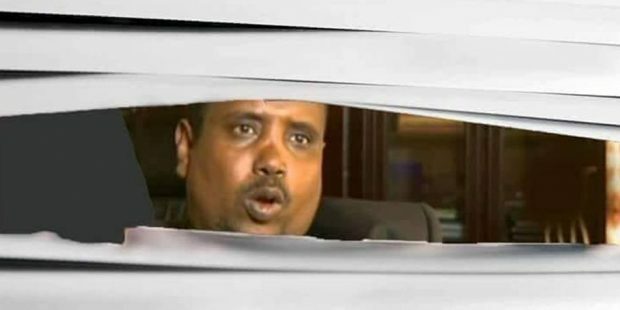 በእነርሱ ስሌት ይህችን ቡድን ማን ብለን እንጥራት ይሆን? ኦነግ? ግንቦት ሰባት? ምክንያቱም ከዚህ በፊት ርኩሰቷን በሙሉ በነዚህ ድርጅቶች ስም ስትሰራ ኖራለች የሚታለሉላትንም ስታታልልበት ኖራለች እንግዲህ ግላግልቶቿ እርሷ ባጠፋች ሌላው ላይ አላክኩልን ከማለት ውጭ ይሄ ሃሳባቸው በምን ይተረጎማል? እውነት እንነጋገር ከተባለ ከእባቧ እንቁላል (ከህወሀት) የርግብ እንቁላል አይጠበቅም፤ የምናየውም ይኼንኑ ነው ። ተለያይተናል ህወሃት ጸረሰላም ናት የበሰበሰች የገማች ናት እያሉ የተለዩዋት ሁሉ በቀብሯ ዋዜማ እየተጠራሩ ሊታደጓት ሲታትሩ እያየን ከዚህች እባብ እንቁላል እንዴት ርግብ እንጠብቅ??? በመሆኑም ነገር ሲድን እና ሲሞት ያለውን ሁኔታ በውል ላልተረዳ ደናቁርት ስብስብ አናሳ ቡድን የእጁን መክፈል ተገቢ እና ብቸኛም አማራጭ ነው ፤ ከዚህ በኋላ ይህን አናሳ ቡድን ለማዳን የሚታትር እርሱ የህዝብ ጠላት እንጂ ወዳጅ ሊሆን አይችልም ሰፊ እድሉን ያልተጠቀመና የበሰበሰ ቅርፊቱን መሸለት ካልፈለገ እና መቼም መች ጥፋት እንጂ ልማት የማይገኝበትን ይህን የጥፋት ቡድን ማስታመም በታላቋ ሀገር ላይ በማላገጥ ቡድኑም መምሰል እና ማከል ነው ፤ በመሆኑም ከሰሜን እስከ ደቡብ ከምሥራቅ እስከ ምዕራብ እንደ አንድ ልብ መካሪ እንደ አንድ ቃል ተናጋሪ ሆኖ አጥፊውን ለማጥፋት ሁሉም ይነሳ!!! ሲል ጥላሁን ገሰሰ እንዳዜመ ያንኑ ማድረግ ተገቢ ነው! ዋዜማ ላይ ያለው ድል ዕለቱን ናፍቋልና ያን ለማየት ሁሉም ይበርታ ሞት ለጠባቦች ድል ለኢትዮጵያውያን!! What is power? What is being powerful? What is being powerless? Lately we do not see those powerful guys on TV windows. That is powerlessness to me and wished to know what they are feeling. Power made them blind and feel and act they way they did. When in power, they may not know what they felt and did. Do they feel their irresponsible deeds when they are powerless now? If they do they are learning and regranting and deserve forgiveness. If they do not, the Ethiopian people need to say enough is enough. I do not by that those criminals retreated and barracked in a certain corner. To me it is like both, depriving them opportunity to regret and give them freedom to do their dirty works. That tells me that love and forgiveness do not work with those individuals. Justice is the only solution, the only solution to make them regret and ask for forgiveness.